Tall ships Thallasa and Shtandart arrive at the Port of Blyth. Picture by John Tuttiett. The village is part of the North Sea Tall Ships Regatta which is set to attract hundreds of thousands of visitors to the town to enjoy nightly fireworks, live music, street theatre and grand parades. 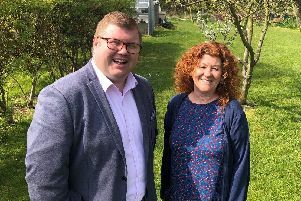 Coun Val Tyler, cabinet member for Arts, Leisure and Culture at Northumberland County Council, said: “The Northumberland Village will have lots to offer with live performers, stalls and attractions – the whole park will be alive with a celebratory atmosphere.